John Ellis is the senior associate for the Worker’s Compensation Defense Department. He was admitted to practice in Delaware and New Jersey in 2006 and Pennsylvania in 2007. 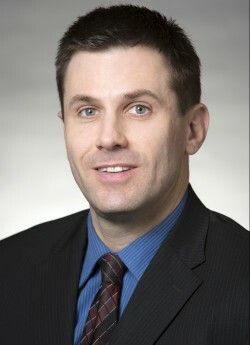 John is a graduate of West Chester University (B.A., 2002) and Widener University School of Law (J.D., 2006). At Widener, he served as the Senior Staff Member for the Widener Law Review. Before joining the firm, John served as a Judicial Clerk to The Honorable Francis P. DeStefano in the Superior Court of New Jersey. He is co-chair of the Delaware State Bar Association’s Workers’ Compensation Section Case Law Update Committee. John is also a member of the Randy J. Holland Delaware Workers’ Compensation Inn of Court and the American Bar Association. Outside of private practice, John is a Volunteer Attorney Guardian Ad Litem in the Delaware Office of the Child Advocate, where he provides representation for neglected children before the Family Court. He is a Board Member for the United States Tennis Association-Delaware District and spends his free time playing tennis and golf in the tri-state area.